Scones are one of my favorite comfort foods. Must be my Irish heritage. When BeeBop and I took a trip to Ireland several years ago, we took every opportunity we saw to indulge in scones. They’re a bit different there and I suspect that has to do with the type of flour that’s used in Ireland. When I started making scones in my own kitchen, I realized that the ingredients aren’t very different than those for biscuits. Basically flour, butter, and milk or buttermilk. They’re also handled the same way, too. Don’t overmix. Don’t over knead. Handle very gently. That gentle handling prevents the gluten in the flour from developing and ensures a tender biscuit or scone. I’ve made many different kinds of scones. Plain, buttery ones. Lightly sweet ones with a few raisins thrown into the dough. And these lovely Chocolate Scones. These are most definitely a dessert scone. 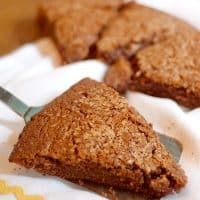 They’re much sweeter than a traditional scone, have a crunchy sugary topping, and are oh so good served still warm with a generous dollop of whipped cream. 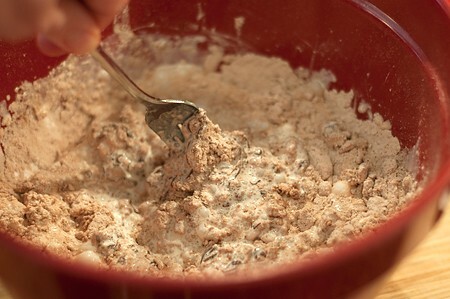 In a large bowl, combine the flour, sugar, cocoa, baking powder, and salt. Add the butter and cut it in with a pastry blender or fork until the mixture is rough and crumbly. 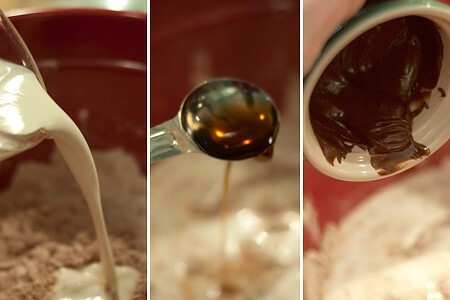 Add the 1 cup of heavy whipping cream, melted chocolate, and vanilla. Stir with a fork just until the dry ingredients are moistened. Knead the dough lightly 3 or 4 times in the bowl. Note that this is a very moist, almost wet, dough. Lightly coat a baking sheet with cooking spray. Turn the dough out onto the baking sheet and pat it into an approximately 8-inch circle. Using a sharp knife, cut or mark the dough into 8 wedges. Don’t separate the wedges. If the dough is too wet to cut before baking, just cut it into wedges when you take it out of the oven. Brush with the remaining whipping cream or milk and sprinkle with turbinado or granulated sugar. Bake for 19-20 minutes or until done. Be careful not to overbake. Best served warm with a dollop of whipped cream. 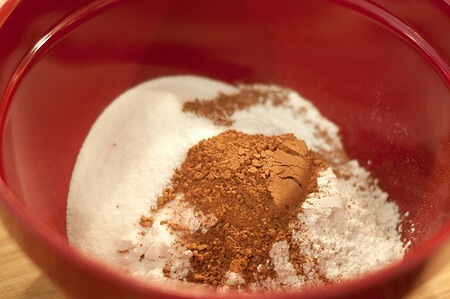 Combine the flour, sugar, cocoa, baking powder, and salt in a large bowl. 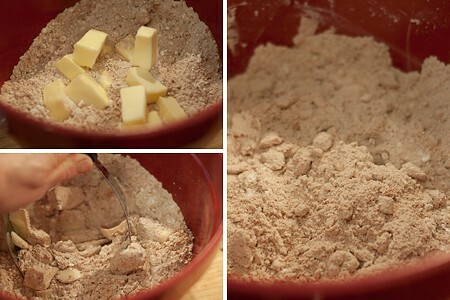 Add the butter and cut it in with a pastry blender or fork until the mixture is rough and crumbly. Add the 1 cup of heavy whipping cream, melted chocolate, and vanilla. Stir with a fork just until the dry ingredients are moistened. Knead the dough lightly 3 or 4 times in the bowl. Lightly coat a baking sheet with cooking spray. 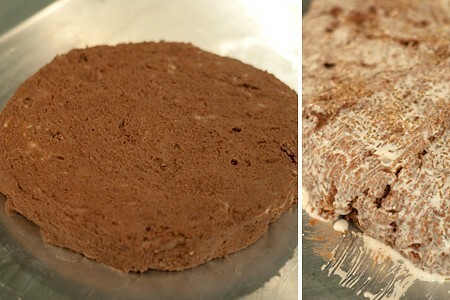 Turn the dough out onto the baking sheet and pat it into an approximately 8-inch circle. Using a sharp knife, cut or mark the dough into 8 wedges. Don’t separate the wedges. Brush with the remaining whipping cream or milk and sprinkle with turbinado or granulated sugar. Bake for 19-20 minutes or until done. Be careful not to overbake. This is a very moist, almost wet, dough. If you can't cut it before baking, just cut it when it comes out of the oven. I love scones (and American biscuits) too. I usually bake some on Sunday mornings when we’re out of fresh bread and I use different recipes depending on what ingredients I have at home. This one is new to me and I won’t be making it for breakfast as it is too sweet for that but in the afternoons during the darker and colder time of year, absolutely! You’re right, Marie, these are quite sweet and wouldn’t be my choice for breakfast, either. However, they made an absolutely perfect dessert with a bit of cream on the side. Hope you enjoy them! Scones are relatively new to me; only in the past few years have I fallen in love with them and I can not lie…it was probably the Maple Scones at Starbucks. Love these for dessert Lana…I think one of my daughters would say yummers…and I agree! I really, really love scones. Traditional ones, pumpkin ones, chocolate ones…you name the recipe I’ll try it :-) Admittedly, these are much sweeter than the norm and some purists would probably disagree with even calling them scones. Whatever. Just plop some whipped cream on there and hand me fork. I’ll take this dessert any day. As for me . . . chocolate is NEVER too sweet for ANY time, day or night. These look scrumptious! However, not as good as your Mississippi Mud cake!!!!!! Thanks for all your recipes of chocolate goodies! Rosie – you’d love these scones! They’re so good! Thanks, Kelly. If you like chocolate and you like scones, you’ll love this. 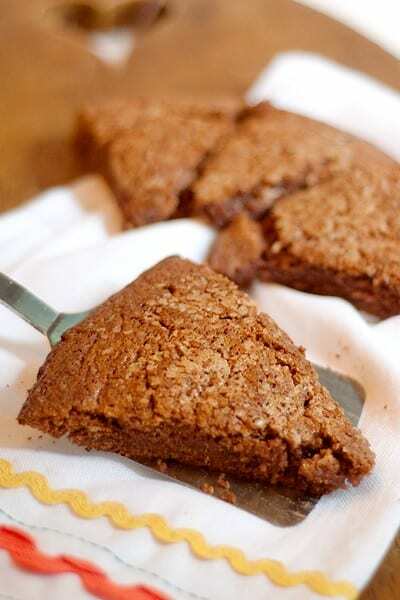 Love, love, love this chocolatey twist on classic scones! Thanks for sharing! You’re welcome, Kelly. Thanks for visiting! I’ve made lots of scones, but never with a chocolate batter. Love these! I hadn’t either, Brenda, and I wasn’t quite sure what to expect but these are so delicious! Why do I hear myself speaking with an Irish accent in my mind when I read this recipe? Ah, well me darlin’, tis a fine scone indeed. You won’t believe this but I often dream in an Irish brogue. No joke.